This week we look at the Desert Seltas Queen, one of the new subspecies to be found in 4 Ultimate! 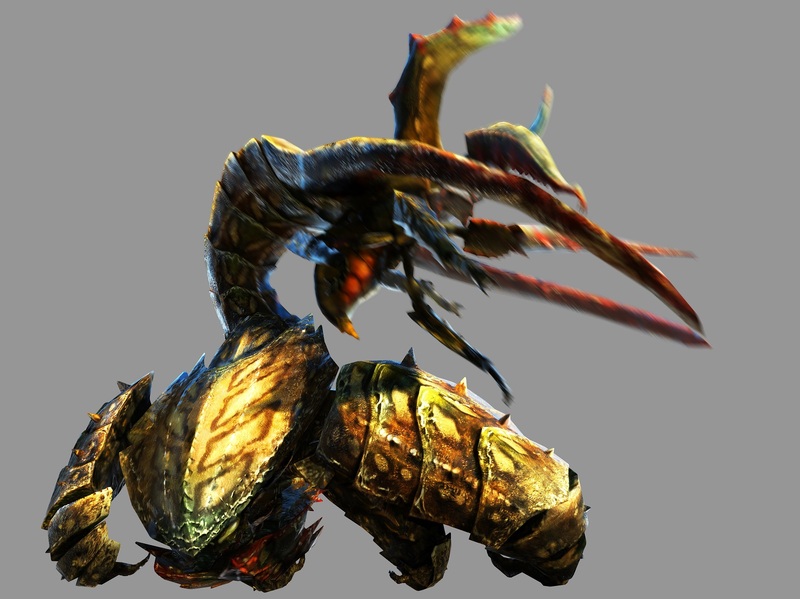 The Desert Seltas Queen is a subspecies new to Monster Hunter 4 Ultimate, found only in the desert. She fights with her male counterpart, the Desert Seltas, at all times, so the two work together to fight the hunter. She’s coloured shades of light brown, yellow and green and resembles a scorpion, with her little face and long, curving tail. She’s weakest to ice and water. The Desert Seltas Queen can summon a Desert Seltas to come and fight by her side, which she will do at every opportunity she gets. She does this by releasing pheromones which he finds irresistible, and which will inflict stink on the hunter if they get too close, meaning you won’t be able to use any items until it wears off or until they put on some deodorant. The only time they won’t be fighting together will be when you kill the Desert Seltas; she has to wait a few minutes for the body to disappear before another can be summoned. She will grab him with her claw and force him to sit on her back. From there, he can shoot yellow balls which will paralyse on contact and can swipe at the hunter with his long, sickle-like claws. Sometimes, if you do a jump attack, you’ll hit him rather than the Queen and ride him instead of her, which can be frustrating. It also means that when one of them is down, you have to put up with the other trying to hit you after a successful ride when you’re trying to attack. The Desert Seltas Queen can also fire the Desert Seltas at the hunter like a cannonball. She also seems to always know exactly where he is when he burrows underground, as she’ll stick her claw into the ground and pull him out of it quite often. I’ve found this to be an excellent time to attack while she’s distracted. The Desert Seltas Queen can fire balls of water which will inflict level two waterblight. It also does quite a bit of damage; it killed me from about three quarters full, though that may also have been because at the time it was enraged and my armour had negative sixteen water res. Maybe. The Desert Seltas Queen likes to charge around a lot. She’ll often puff her self up before she charges, so you can see it coming, and will change her direction if you move. 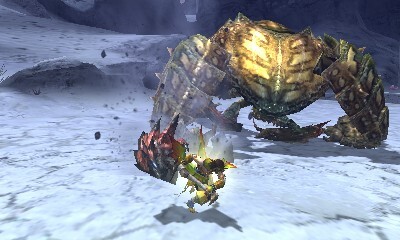 She ends a lot of charges by twisting around at the last minute to slam her side into the hunter, which hurts a lot. One of her charges will also pin you, so keep an eye out for that. The Desert Seltas Queen uses her tail as much as possible. She can hit the hunter with it no matter where they are, so even back attacks can get you hit. She can slam it into the ground and drag it around her to hit anyone attacking her side. She may even walk slowly around the hunter, gently snapping her tail as she goes, before lashing out and sending them flying. This tail, along with her face and all four of her legs, are breakable. That’s all there is about the Desert Seltas Queen. Next week is the Shah Dalamadur!